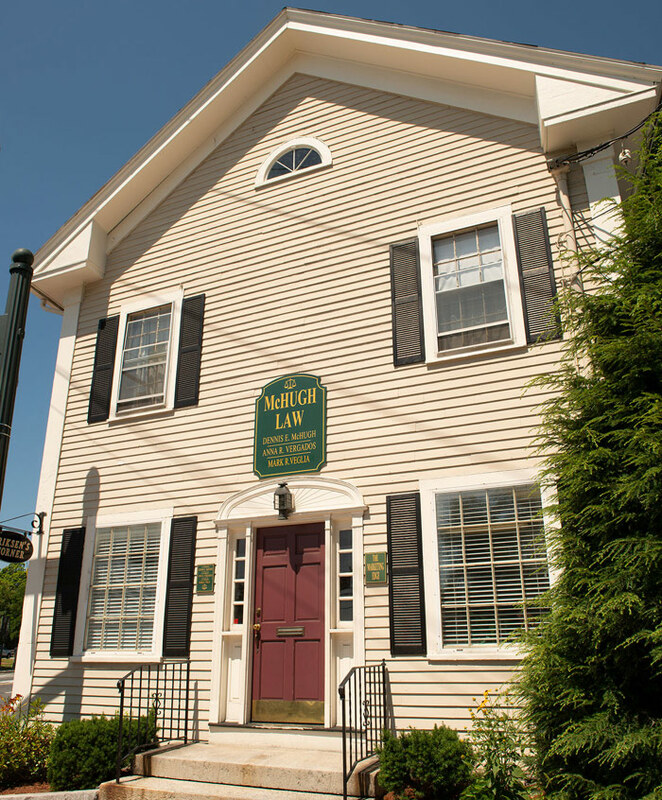 Providing legal services to families and businesses in Chelmsford and the neighboring communities since 1976. Your family’s legal concerns are our priority. From estate planning and elder law, to real estate and guardianships, we have the expertise to help you protect your family's future. McHugh Law offers comprehensive services to help you manage the evolving challenges and demands of your business. Easily connect to sites that may be helpful to you in making informed decisions regarding your family, business and assets. Attorneys Dennis McHugh, Anna Reppucci Vergados and Mark Veglia, along with their support team, offer a full range of legal services to help you provide for your family and your business. McHugh Law specializes in estate planning, elder law, probate administration, probate litigation, business organization, real estate and related matters. We are dedicated to helping clients protect their assets, manage the challenges and demands of their family business, and address the needs of the elderly and disabled. If you are managing your own business, or planning for your family’s financial security, the team at McHugh Law has the experience and expertise to help you achieve your business and personal goals.